The original lollipop – with a range of flavours to suit everyone’s taste! As the quintessential “lolly on a stick”, the round shape of Chupa Chups® means they fit perfectly into your mouth to really get your tastebuds working. 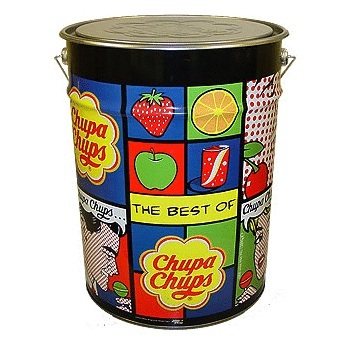 Chupa Chups® is the original lollipop with a range of flavours to suit everyones taste! Assortment of the freshest fruits, the most refreshing cola and the smoothest and creamiest lollipops. Metal Mega Tin of 1,000 x 13g lollipops.